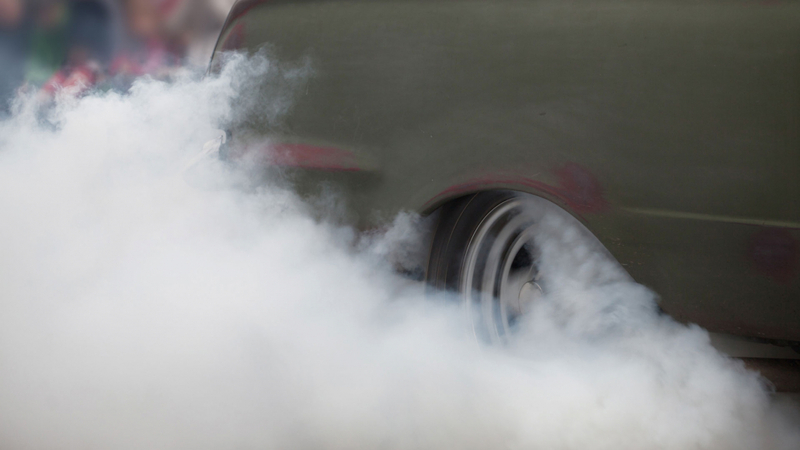 They say there’s no smoke without fire, but that didn’t stop a bunch of Australian car enthusiasts from setting a hot new Guinness World Record for the largest simultaneous car tyre burnout. A total of 126 cars lit up their rear tyres at the annual Street Machine Summernats Car Festival in Canberra, beating the previous record of 119, set at an event in Saudia Arabia on 23 September 2017. A huge cloud of multi-coloured smoke was sent into the sky, as the sun-drenched car nuts took part in the record attempt in front of a packed grandstand. A representative from Guinness World Records was in attendance to confirm the new record – he was the only person wearing a smart suit – with the organisers presented with a framed certificate to mark the achievement. “We are absolutely stoked to smash the burnout world record. We think Australia and Summernats is the home of burnouts and everyone involved was determined to take it back,” said Summernats co-owner Andy Lopez. No doubt the organisers will attempt another world record in 2020, by which time the smoke may have cleared from the hills surrounding the Exhibition Park in Canberra. Used car values rise to record levels Shutterstock Shutterstock Are smart motorway speed cameras always switched on?